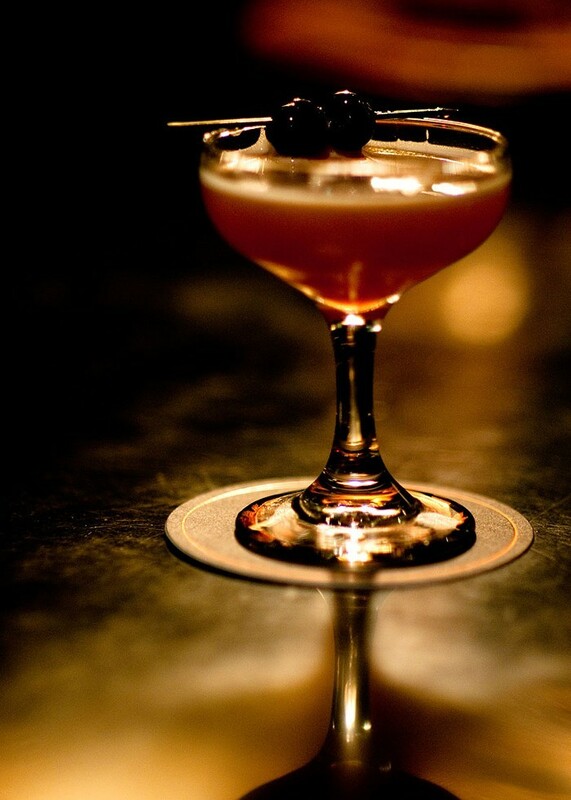 A Rob Roy is a version of a Manhattan made with Scotch. Rob Roy (1671–1734), the cocktail's namesake, was an outlaw-hero, the Scottish version of Robin Hood. The Rob Roy is a swankish '70s cocktail lounge in Belltown—the kind with stacked flagstone behind the bar, a black-leather-padded wall, low lighting, and general comfiness. Furthermore, it's run by the awesome Anu Apte (of the Washington State Bartenders Guild), and the cocktails are marvelous. Happy Hour Daily 4-7 pm ($5 wine, $6 cocktails, $6 daily punch, free Goldfish and faux pho ramen, half off food menu).